I wish I could bottle the way I feel at the moment!! Listened to Desert Island Discs on the way to work today, it was businessman Tidjane Thiam who is chief executive of the Prudential. I was amused by the things he was told to do when he moved to England. He was given a copy of Yes Minister and told he should listen to The Archers and Desert Island discs if he wanted to fit in – good advice! I was also taken by the advice given to him by one of his Professors in France who said to him “What makes the difference between people in life is not how high you go but how low you can go” – wise words. Tonight’s blast from the past!! 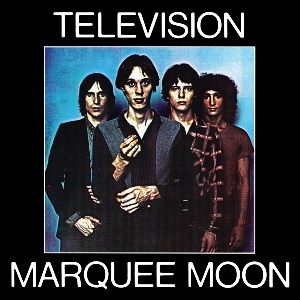 Marquee Moon was the first 12″ single I ever bought and there’s a wonderful story about how after buying the album we discovered we didn’t have enough money to get home so we had to get off at the station before ours and walk the rest of the way! Additionally Marquee Moon was the last song I ever saw played live at Glastonbury.